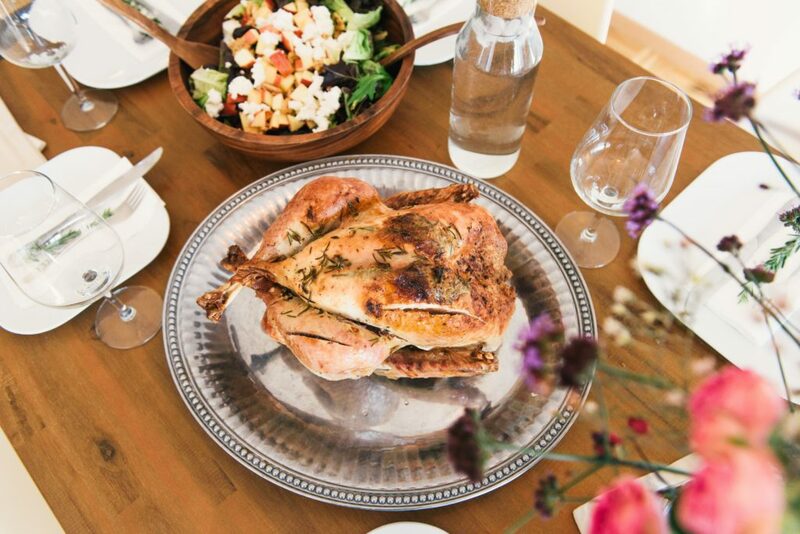 Thanksgiving is an opportunity to celebrate family, friends, and food. Creating a beautiful table setting takes time and thought. But don’t stress. That’s what I’m here for. I love sprucing up my home in anticipation of the holiday, and of course, indulging in delicious food on the big day. There are so many décor options (and recipes to try) – but don’t get overwhelmed. It’s really all about the traditions; watching the Macy’s Thanksgiving Day Parade on TV, volunteering to serve the less fortunate at a local shelter, or competing with siblings to see who gets the bigger side of the wishbone. Our family Thanksgiving tradition involves going around the table and stating what we’re most thankful for that day. We now apply this concept to most dinners, stating the best/worst parts of our day and what we’re most grateful for, but it’s an especially nice tradition to honor at the Thanksgiving dinner. Whatever your traditions, they are integral to your Thanksgiving celebration, and key to setting the mood and feel of your holiday. My ideal Thanksgiving: Drive to Michigan and crash Aunt Sue and Uncle Bob’s gourmet Thanksgiving day. It’s full of daring recipes and delicious classics. It’s yummm. But wait, there’s more: My boisterous Michigan family takes a day to recuperate and then does it all again on Saturday at my sister’s cottage. It’s basically a sleepover kicked off with a traditional Thanksgiving feast. Bonfires, sunsets over the lake and turkey legs. Can you picture it? 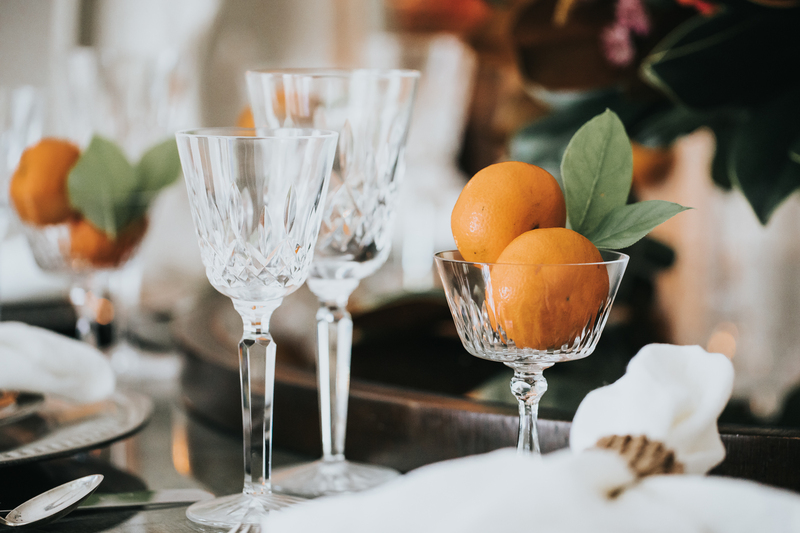 Read on for my Thanksgiving decoration ideas, as well as my tips for setting the table and dressing up the house. Although the dinner table is the focal point, your front door and entryway are what set the overall mood of the home. It’s important that your décor be welcoming and seasonally appropriate. Think of it this way: Your front door gives guests a first impression of your home—make it count! Wreaths are one of my decorating staples because they make an instant statement and are easy to swap out. You can pick up a fresh one each fall or store and reuse the same wreath every year. Don’t sweat it if you tossed the original package the wreath came in. Use a zippered vinyl bag—the kind that bedding typically comes in—to keep the wreath intact season after season. Pro tip: Stuff the bag with tissue paper or bubble wrap to keep things firmly in place. A Wooden Chalkboard feels rustic and homey at your front door. You can purchase pretty ones or make your own homemade chalkboard. The latter is a fun and easy family activity that the kids can get involved with. Write a welcome message or pick an inspiring quote that resonates with you. Chalkboards can be hung on your front door or attached to a stand nearby and incorporated into other fall decorations (think mums in your color scheme or layers of pumpkins, gourds, and squash spilling out of a pretty basket). Door tags are another creative way to dress up your entrance. These DIY wooden door tags are simple, but cool, and an unexpected twist on more classic front-door decorations. And being a Michigan girl, I love all knot-inspired décor that harks back to my years spent boating. Welcome mats can be funny and charming or simple and classic. 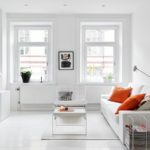 Whatever your style, this is an easy decoration that is practical and long-lasting. Check your china—is there a favorite color in there that you can play up? Or, a color that looks great with your china? Using everyday white or a classic metal rim? Then you can play up the layers of neutrals and textures (my fave) or go color crazy. My husband and I create the Thanksgiving dinner menu in advance and I’ll curate a color scheme based off of the items being served. For example, if we decide to serve sage stuffing, I will incorporate deep, rich colors such as aubergine or royal purple. 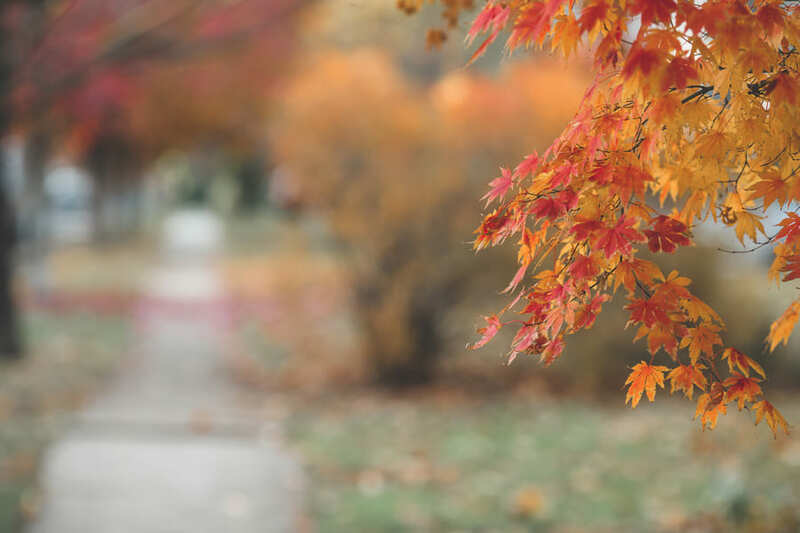 When choosing a color scheme for your Thanksgiving festivities, think about what kind of mood you’re looking to create. 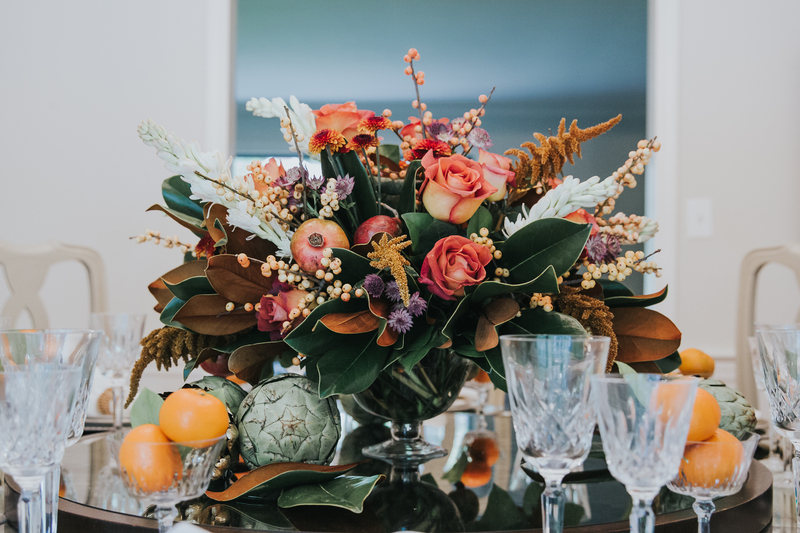 For example, yellows and deep oranges convey a more traditional Thanksgiving vibe, while shades of teal and amber feel modern and elegant. 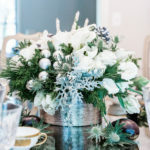 I’m teal obsessed and think it’s such a warm color to incorporate into any holiday color scheme. 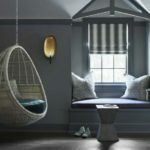 If you are trying to go for a more modern twist, tie in a few metallic accents and infuse calming neutrals to balance out the look. To make the process of choosing a color scheme easier, pick one color and go really intense with it. For optimal cohesiveness, I think it’s always important to focus on one or two solid colors rather than a sprinkling of multiple colors. You can do the latter, but it has to be really thought out. I prefer to just choose one color and go hard. This season, I am definitely feeling blush pink and camel. I think camel needs a comeback—it’s time. 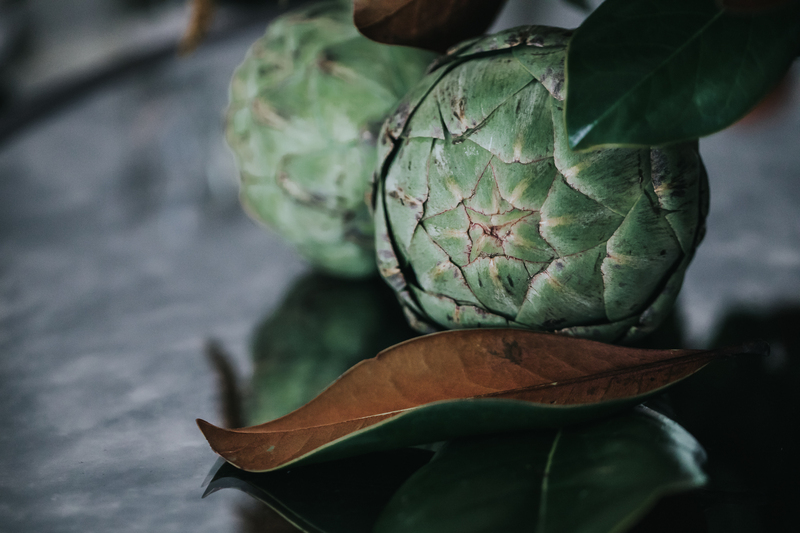 I’m also really feeling olive green…greenery in general, but specifically, richer, mossier, and woodsier shades of green are drawing me in for fall. Zesty, yellow-green shades are also fun to add into the mix, and work nicely to warm up monochromatic winter palettes. 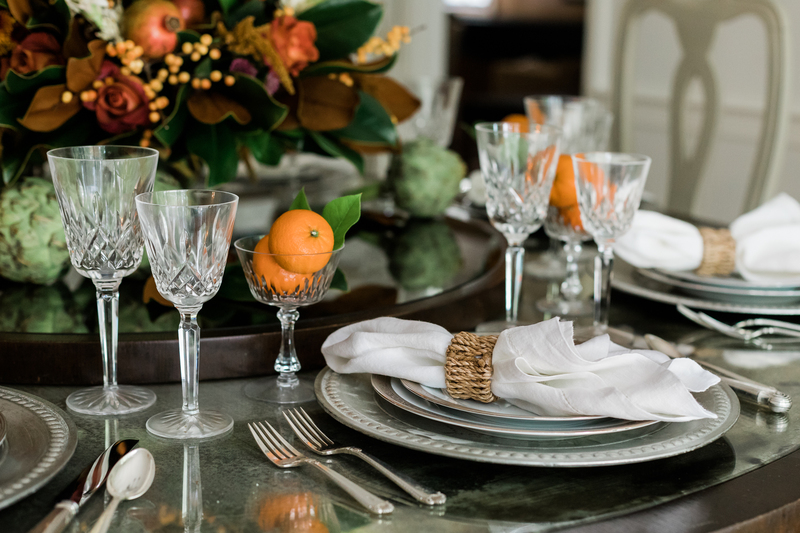 Beautiful table settings are key to any holiday celebration. A good centerpiece can uplift the entire dining room and set the overall mood. Once you’ve decided on a color scheme, use that as a guide for the rest of your decorations. If you’re a floral person, work with your local flower shop or plant nursery to choose seasonal blooms in your hue. 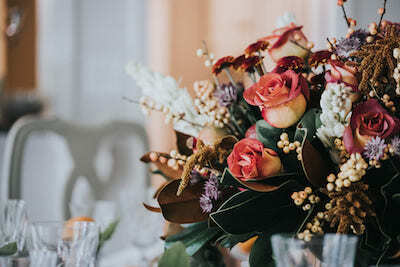 My vote is to stick to lots of one flower—think short blooms in little bud vases down the entire length of your table. Looking for something different? Vegetables and succulents are an affordable option that make a dramatic statement. I’m all about the imperfect vegetable. Pumpkins, corn husks, and squashes with funky lumps, bumps, and bruises are great conversation pieces and add an element of texture to your centerpiece. Add even more color and texture to your table by displaying vibrantly colored fruits such as cranberries, pomegranates, and apples into the mix. A rustic theme lends itself to so many natural options. Spend an afternoon with the kids and pick pinecones, branches, logs, and acorns from your own backyard and scatter them on your table or place them strategically across your fireplace mantle. If a more glam, DIY look is your thing, spray paint all of your woodsy finds a metallic finish. The result is very sophisticated. Another option: the homegrown look. Achieve that by setting herb plants, such as rosemary or thyme, in clear mason jars around the table. Gift them to guests at the end of the night as mini party favors. 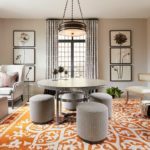 Juxtaposing volume and height are important principles of design, and your dining room table is no exception. The look can certainly be executed with varying heights of flower arrangements, but my secret weapon is candles. Not only do they offer additional lighting, they instantly make a room feel warmer and cozier. Layer in tall candlesticks for added height, or place votive candles all around your table for ambiance. Always go for unscented when layering in candles on your table. After curating your color scheme and building your centerpiece, it’s time to turn your attention to the fabrics that will accent the table. Look at your china, look at the stuff that’s been given to you, the hand-me-downs, the family pieces, etc. Go through the linens you already have, the napkins you already have, the tablecloths you already have, and cull from that. I like the idea of layering cloths. Ivory cloths, and then a topper on top of that, or if I want it to be a lighter/brighter combo, I’ll do the richer colors and patterns on bottom, and then a big white on top of that. Then layering in different napkins, place mats, or chargers. A layered table is the way to go. I achieve that layered look with two table cloths so you get that multi-layer, then a charger, next a big plate in my wedding china, and finally, a smaller plate in the hand-me-down china that we have. The big plate is silver rimmed and the smaller plate is a really detailed gold rim, with a beautiful, colorful or patterned napkin folded down the middle. The wine glass is a standard wine glass, but then you’ve got a Waterford water glass or Waterford tumblers for water. Mixing it up is so much more interesting than an out-of-the-box table setting from a department store. 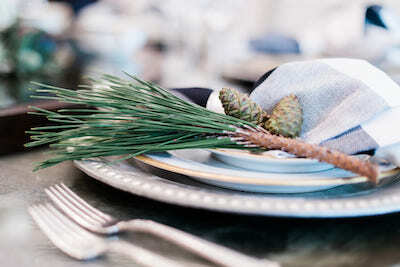 Although neutral fabrics work with any color scheme, dark colors make a major impact on your table. White china and metallic flatware pop against a deep-hued tablecloth or black napkins. Go a step further and incorporate darker colors into your drinkware. Amethyst goblets feel medieval, while brown champagne glasses have a cool vintage air to them. A great way to involve the kids in setting the table is to make simple placements out of brown craft paper. 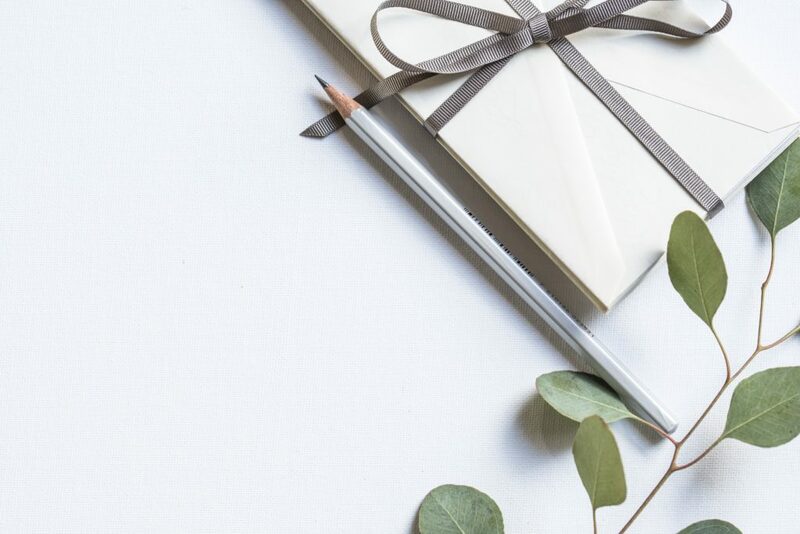 Write a thoughtful message such as “I am thankful for” and leave pens on the table for your guests to fill in the rest. Always keep the reason for the season at the forefront—it’s all about gratitude, people! Last, but certainly not least, napkin rings. 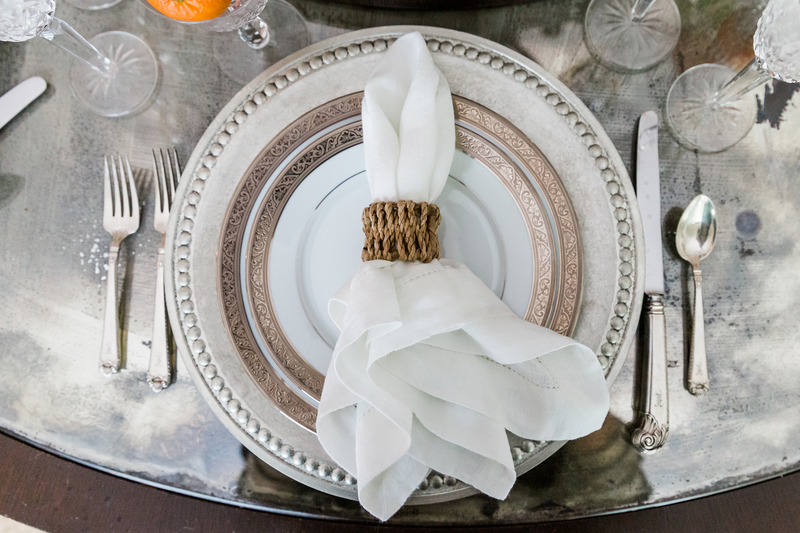 For an earthy feel, wrap your napkins in string and tuck a sprig of greenery in. The greenery can be anything from collected leaves to fresh herbs. Cinnamon sticks look pretty peeking out of a well-folded napkin and infuse the room with warmth. Another idea I love is a beautifully written greeting or quote incorporated into the napkin ring. 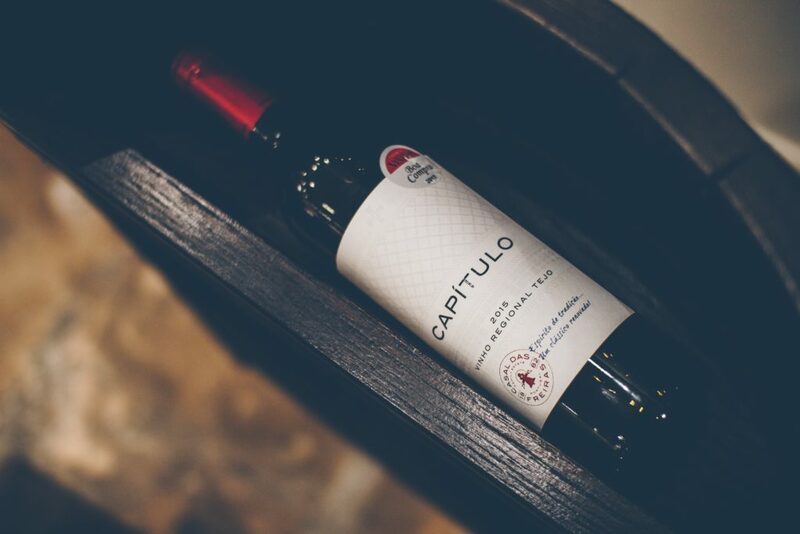 Guests will enjoy the thoughtful message during the meal and also as a keepsake to take home if they so choose. The turkey is undoubtedly the star of the show, but that doesn’t mean that you can’t feature other meats or go vegetarian altogether. Serve what makes you happy and what you’ll enjoy serving your guests. For some, that means experimenting with different spices, for others, that translates to assigning every family member a dish and sticking to their tried-and-true recipe. Either way, the opportunities to wow your guests are endless. Desserts are another area where your creativity can run wild. 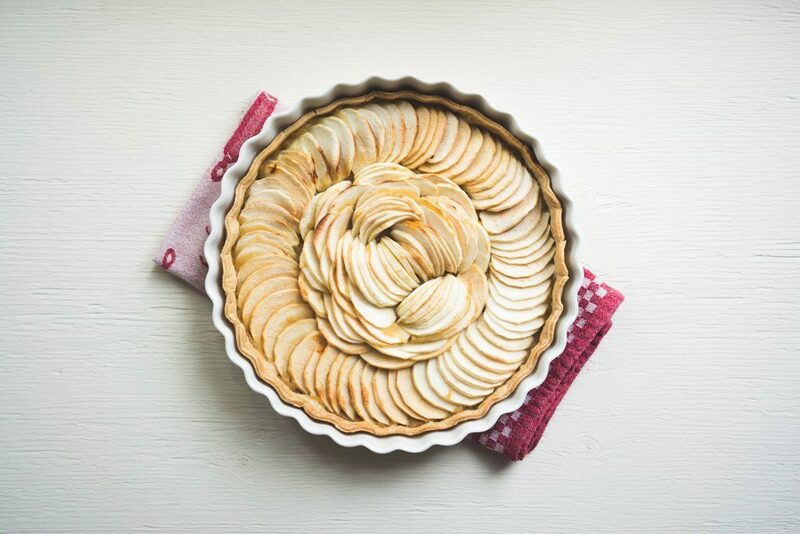 You can go over the top and create a unique menu of delectable treats, or stay classic and serve the perfect apple or pumpkin pie. Now that your menu is set, it’s essential to find a wine that balances your Thanksgiving meal staples or a hearty fall beer that complements the comfort food you’re serving. One of my personal favorites is the signature cocktail. These festive drinks are a fun and yummy addition to any holiday menu, and the choices are endless. Start with your color scheme (always the blueprint of your festivities! ), and go from there. The options are as delicious as they sound—hello, apple pie bourbon shots!—and you can serve your cocktail in a specialty glass that looks pretty anywhere it’s set down. Throw a mocktail variation of your signature drink in the mix so that non-drinkers and kids alike can enjoy the flavors and feel included in the soiree. Whether you’re joining your family, coworkers, or in-laws for the holiday season, bringing a small gift as a token of your appreciation is always a kind gesture. I make it a habit to stock a shelf or two in my gift closet with a few small gifts such as seasonal candles, soaps, cards, and other household trinkets to gift the host. If an item is in my gift closet, then that means that I would be wholly and completely comfortable giving it to someone. Anyone who knows me knows that I do not give gifts lightly. And with that, I wish you and yours a happy Thanksgiving, and a holiday season filled with love, laughter, good food, friends, family, and wine. Always wine. Let us set your table. It’s one less thing to think about. Sign up for our newsletter to get more Thanksgiving decorating tips. Love the post! All of your ideas sound amazing and I’m sure they’re going to make my Thanksgiving fabulous. Thank you so much! It’s amazing. I just love it. Thanks for sharing great decoration ideas.